§ Using traps – This is one of the most commonly used raccoon removal techniques by the wildlife removal experts. For trapping the raccoons in traps without causing any harm you need to have the expertise and equipments to trap and relocate them to a different place. A 12x12x32 sized trap is the ideal size for any trapping any raccoon. 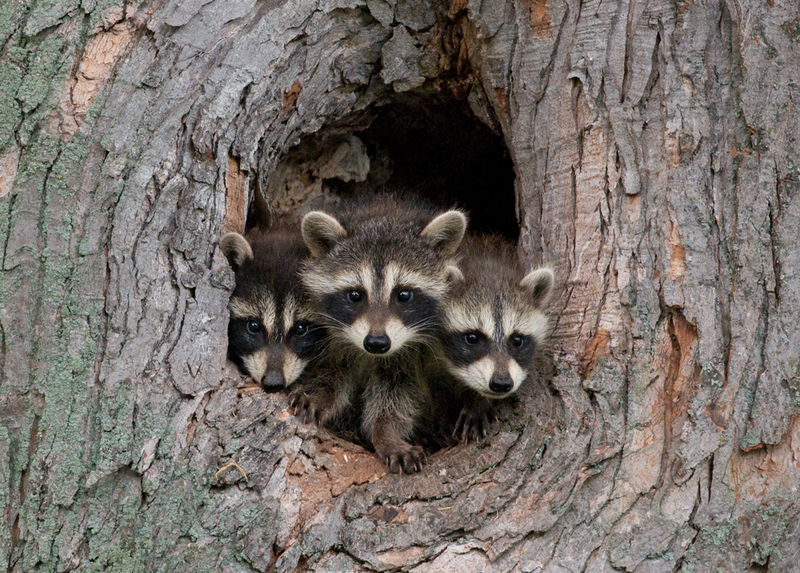 § Sealing the entry points – It may be difficult for you to understand the entry points of raccoons, but when you take professional help, they will find the points in a jiffy. Raccoons have the ability to chew on electrical lines and pipes. By sealing the entry points like the small space in the attic or the broken window seal in the backyard, the chances of raccoons coming over again will reduce. § Using sound and light – Raccoons hate light and sound. That is why they go hunting for food at night when everyone is asleep. If you have called for professional help, then you will notice that they are setting up lights at places where it is impossible to seal the entry point. You can also use a radio near these places, but if you do not want any sound at night, you can rely on the lights. § Luring the mother with her babies – When raccoons setup somewhere, it hardly takes few days for them to bring their entire family. That is why the experts will visit your place at night after the mother has gone hunting for food. They will slowly remove the babies and then lure the mother later in the day to her children. This is another easy and harmless way of removing raccoons once and for all. Raccoons can create a massacre in your garden and backyard if you do not get them removed as soon as you come to know about their existence. When there are harmless ways to relocate them peacefully without causing any harm, it would be best to get in touch with the wildlife removal professionals rather than take matters in your own hands.